Sometimes for successful trading there is no need to use complicated strategies, apply a variety of technical indicators or to order a paid signals. However, if these signals can be obtained free of charge in test mode, then why not? Believe me, they definitely will not be superfluous, but as an insurance they really can be useful. But it’s not really about them. There are some pretty good services on the Internet that have already done a pretty solid job for you (I will not name not to consider for advertising, but you can find them in 5 minutes). These services analyze aggregated information for various assets online and provide general advice regarding the purchase or sale of the asset. And do it for free! Why? Advertising, the increase in attendance — the point is that this information is objective and useful! 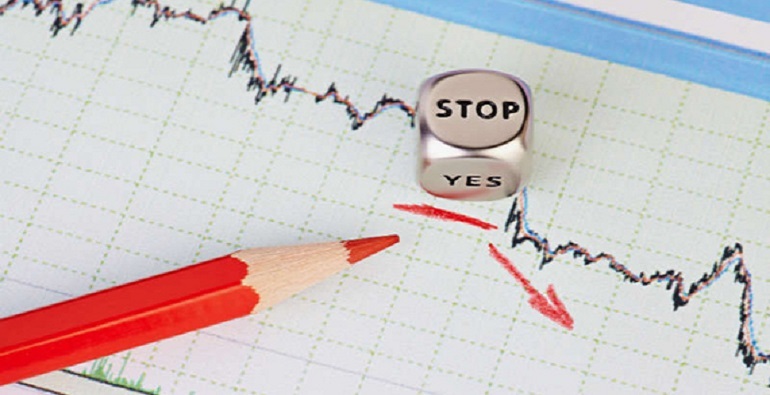 Yes, for Forex it is not very suitable, since even individual strategies can give false signals, but for binary options, where it is important to predict the trend direction it is a very effective option! heat map (described in the next article). Pre-warned: strategy aimed for logic and the individual selection of parameters. So I recommend to test it for a couple of weeks on a demo account! Logically, if it was that profitable, everyone would have been millionaires. Alas. Timeframe, currency pairs or other assets, auxiliary indicators — all are selected independently, but with the right approach, 8 out of 10 trades to be successful. I will describe only the general approach to the strategy. The Pivot Point — point of reversal and resistance. At these points the downward and upward trends follow each other. As these points are determined is a separate question, but with the help of technical indicators all online values in the data points already presented in the corresponding table. Comment: in the table you are only interested in the corresponding column! The other values belong to secondary (S — point support, R — resistance). The type of Pivot points also should not interest you, because the value in this column is the same for all types, choose “Classic”. not recommended the trade 30 minutes before and after news release, because the market is unstable in this period, scalping strategies work. Select a convenient timeframe. Offer a brief 5-minute timeframe, although the assets with reasonable liquidity, you can choose 20 minute period. Take for example two currency pairs. As you can see from the figure below, the value of the Pivot point for the pair EUR/USD is 1,1236, GBP/USD — 1,3226. Get back from the table of values to your broker and its terminal. First, we find the trading platform both these currency pairs, and second, choose short-term options 5 minutes. Tip: on the website of an Internet resource representing the data values of the Pivot, there are several tables for different time frames. If you work with an hour options, the tabular data should also be taken with the value of 1 hour. It would be more accurate. Look at the exchange rate of the chosen currency in the quotations presented by the broker. If EUR/USD rate is below the Pivot point (1,1180) — open the option to increase (Call), if the rate is higher (1,1359) — open the option for a fall (Put). The complexity is in the definition of the range in which you want to open the option. In fact, if you open it on the increase too late (e.g. at the level of 1,1210), then the price will go up, will start from resistance level (Pivot point) and go down. This period for each timeframe is determined on a demo account. Currency pairs EUR/USD and GBP/USD are the most convenient for trading in the European session. I prefer Japanese yen in the American session (in the afternoon Moscow time). There is another interpretation of this trading strategy. The proposed strategy is: wait, when price will grow to the Pivot point and during the expectation of a reversal down open a Put position. In other words, In my tactics I propose to open a position in growth when the price is much below Pivot level, this strategy implies the observation of the trend — if price growth does not hit the point, and expands to a position down. The is some logic in this strategy too, but how to determine what level in this case, is it? The weakness of the strategy is that the price may rise to reach Pivot point, jump down (correction) and to go up, marking the Pivot point support level. In my proposed strategy, you immediately see that the price is significantly below the Pivot point, goes up, and therefore the indicated is the level of resistance. Summary. The general gist of the strategy, I think, is clear, but not so simple. Because the Pivot point is the point of a trend reversal, but no one will give a guarantee that the price reaching the support level or resistance would not break them. That is the danger of the strategy. However, the calculation is that in the short term, the breakthroughs are rare, that is, in most cases, the rebound (turn) is still takes place.